To get inside information on the 2016 tennis team at SNU, I sat down last week with returning player Polina Chala and true freshman Judit Mas. Chala is in her second season of eligibility, so she has some pretty high expectations of being a leader. Chala then went on to talk about the offseason and how the first match went. She also talked about the huge differences from Ukraine to Oklahoma. Judit Mas is a freshman out of Vic, Spain, who, after asking her what it has been like for her coming from Spain to Oklahoma, she replied, “Traveling to a foreign country I was a bit afraid, but excited as well. It was a completely new experience, and that’s why I decided to try it”. She also talked about the process of getting to the United States. She also praised SNU for making the university feel like home. Mas then compared it to the universities in Spain. She finished with discussing the differences between Spain and Oklahoma. 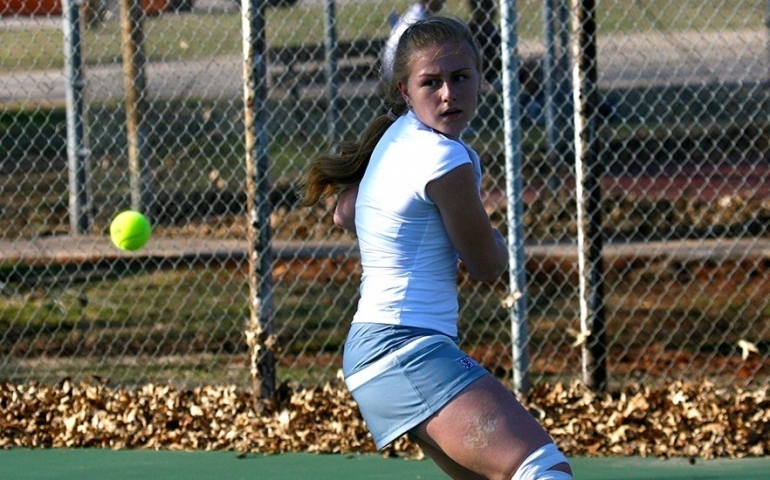 For more information about the 2016 tennis team, click here.